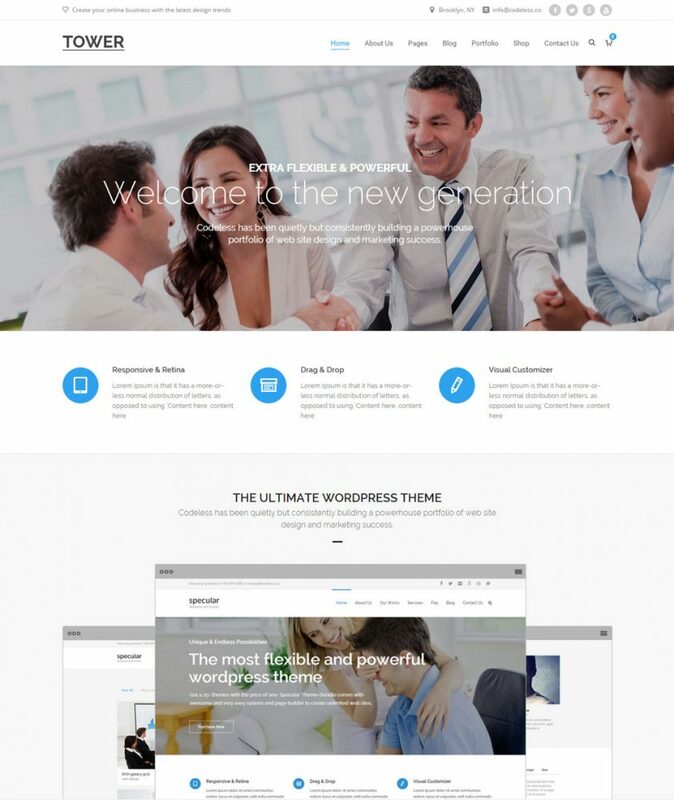 WordPress business themes are in high demand and popular among searchers as branding for corporate, small business and even freelance work has also become a de facto standard. The themes with minimalist and responsive design are the priority features that are trending now. The themes built on top of WordPress CMS are simply crafted with one purpose, to make customization easy and to allow you to make a whole new website without any developers help. The documentation is a requirement for themes in WordPress repo so you get better step by step customization manual. Make a business website even if you have no experience. We have covered a lot of themes here which are perfectly suited for making simple and elegant business website with less effort. Finding the features of each theme can be very hard if you have searched around. Thus themes we have handpicked include unique sections required for a business website and the options panel where it can be altered as required. Sliders have been implemented in themes we listed without a second thought as they are very effective to show a catchy call to action headings. The themes here will give you a solid base to add sections for the business website as they include services, about the company, portfolio grid, testimonials, pricing pages, contact and more. You can choose to have all these sections in onepage design or have them separately. Modern website design tends to be in the direction of one page style and a bit of parallax scrolling has been implemented to make the user experience better. Themes here are also following this trend as it looks good in every way. Having a blog on a business website has started to become a very crucial part. Without daily updates, a business may find trouble improving visitor base as it can be done only with a blog section. It is amusing to see that how blogs have been integrated into these business themes as they still keep everything clean. You will encounter blog layouts in every WordPress theme but you can choose whether to add them to your website design giving you full control. 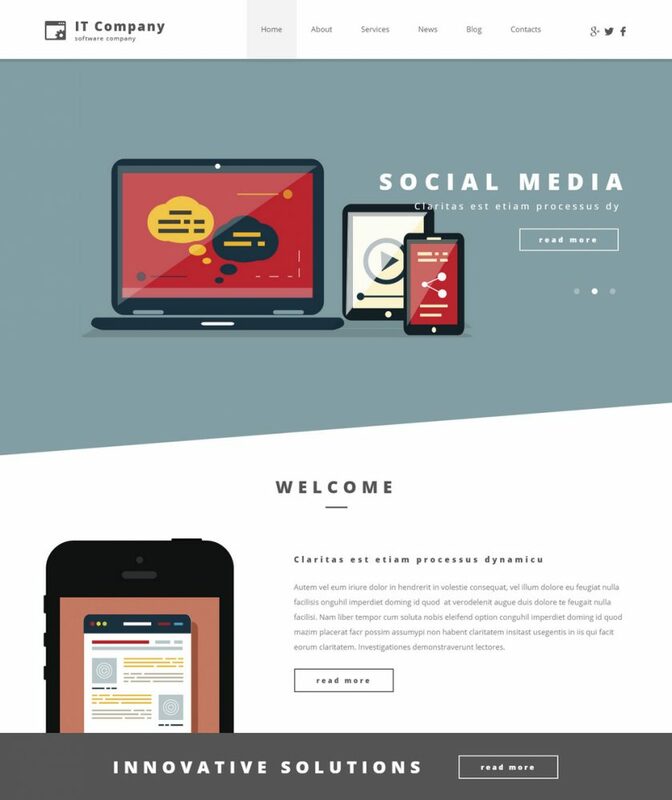 A versatile theme that can make it easy for start-ups to establish their site with a unique layout and some outstanding features. The best part about this WordPress theme is what is referred to as Stacks by the developer. It currently has 4 stacks which are somewhat like a template. It also has its own set of extensions which allow you to enhance the features of the website with easy customization and an integration with WooCommerce. X packs a lot of features but is surprisingly easy to use. For business corporate looking for the right theme to begin their business journey, X is superb place to start. 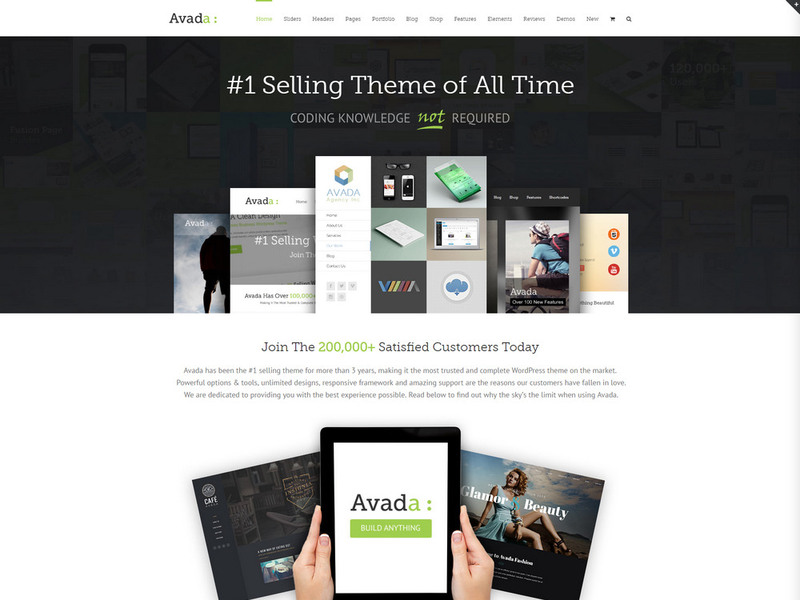 If you yearn for lots of features and tools on the WordPress theme that you choose then Avada may suit you well. It is a feature rich theme which gives you the option to take customization to extreme levels where you can change and modify every bit to give your website a look that reflects your brand’s personality. For those who end up throwing caution to the air when designing a website, the availability of numerous features on Avada can lead to a crowded website if not used properly. While I do not consider the many features on Avada to be a downside of the theme, I prefer being careful when you pick things for your website. From video backgrounds and background image blur to a custom page builder tool and testimonial publishing tool Avada has a lot to offer, and there is hardly a reason for you to dislike it. 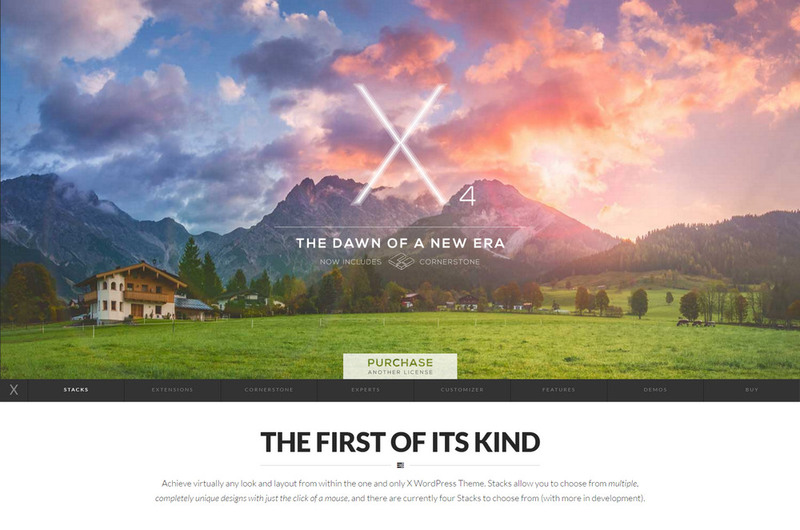 This multi-purpose theme is good for any kind of website that is powered by WordPress. There are lots of features that you can choose from which ensures complete flexibility in terms of customization. To begin with, there are many templates that are filed under different categories. Business corporate may be interested in those that are filed under ‘Business’ but if you are getting a little adventurous, then look inside other categories, you may be surprised how you can adapt one of those for your website. It has a drag and drop page builder so that you can create your own layouts. It is also compatible with WooCommerce so if your website features an online store then Jupiter could be a good theme for you. While the theme has a lot to explore, we particularly like the fact that documentation and support for this theme is extensive so that you do not get stuck while building your website. With the growing needs of internet users and businesses, themes have evolved into being smarter and more feature rich. Monstroid is one of those mega themes which has some very nice features. 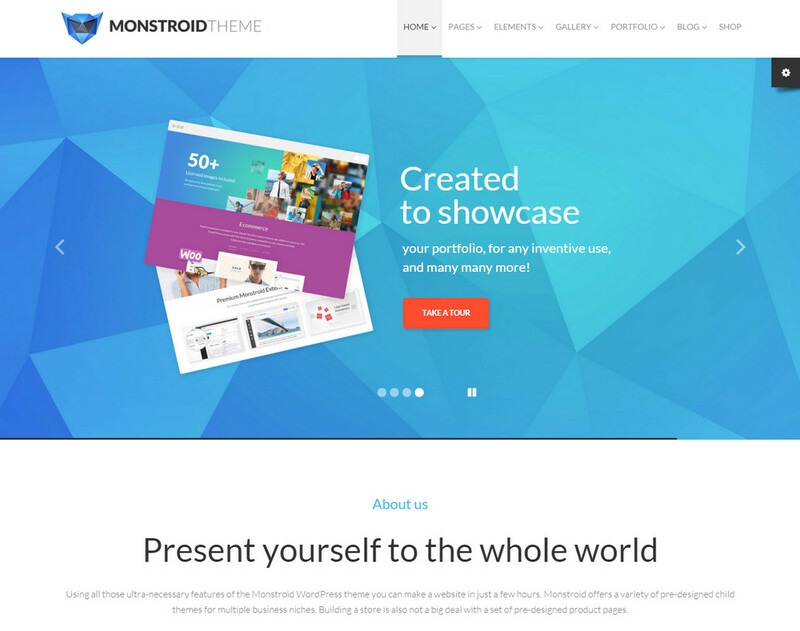 Starting with the MotoPress Page Builder and the multiple layouts featured in every design, the Monstroid WordPress theme also features a lot of premium plugins and ensure that your WordPress powered website has social media integration as well. 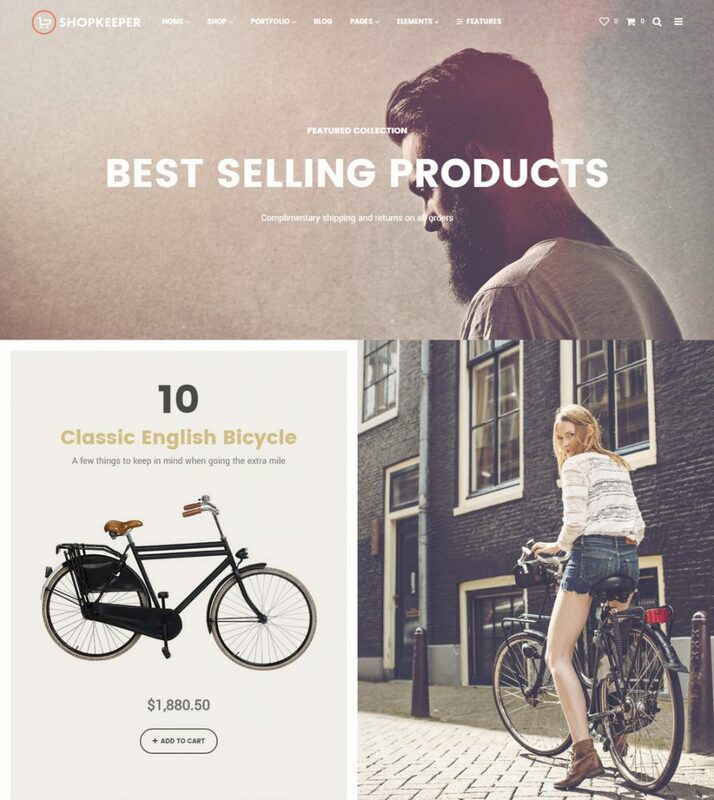 Not to forget WooCommerce and over 100 fully customizable PSD files. You also get 500 Google fonts and lifetime updates for the Monstroid theme. The installation of this theme is slightly different so read the instructions carefully before you begin using this theme. With themes becoming powerful by the day and users expecting more from these themes every time, developers are trying to fill them with the best possible features. Mega is one such theme does a great job when it comes to creating a website. For those who are creative enough, there is a lot to explore on Mega. It has different elements and many ways to optimize the theme. 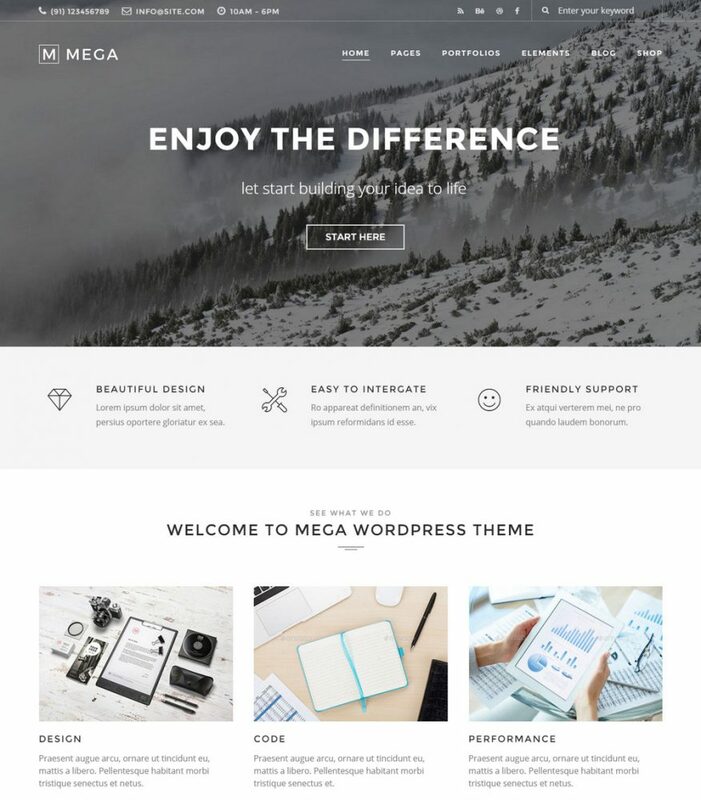 The best thing about WordPress themes is that most of them do not require us to have any kind of coding language, and that is exactly what makes Mega a theme which can be used by just about anyone who wishes to create a website for their company. Anyone wanting to build a business-focused website will love Tower. The theme has many demo versions that you can go through. Tower has the ability to help just about any website. With its long list of features, there is no way that you may find it lacking in features or abilities. There are more than 200 theme options and with a full drag and drop page builder you have a theme that can make website creation a breeze. But be careful not to go overboard with so many features. Because, customer enjoy websites that are clean and readable because these websites foster reliability. As a business that is starting up you may need to build on your customer’s trust by ensuring that you have a website that your customers can identify your brand with. 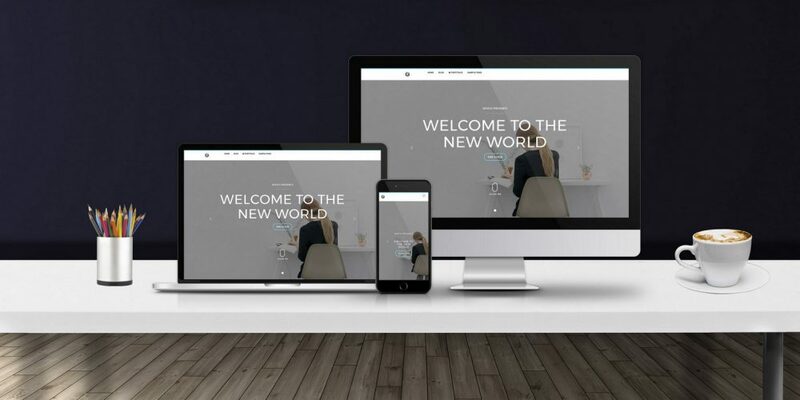 These six themes have a lot of features and are really good when it comes to creating a website for medium or large scale businesses. But many WordPress users usually require a website for a small scale business. So let us look at some themes which are suitable for specific businesses. From here all themes are for focused business as the above six of the brilliant themes can serve any purpose. 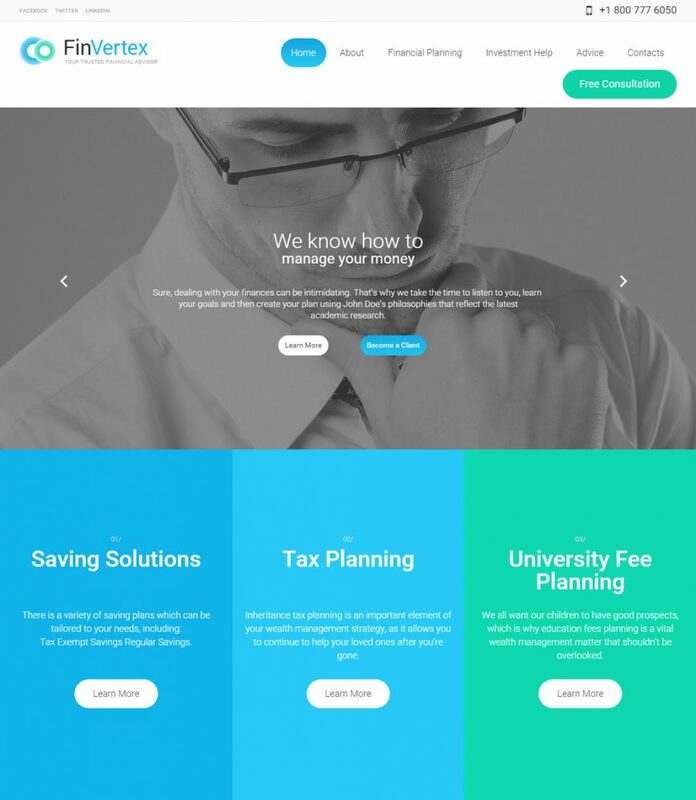 If you want to make web development faster and easier, then choose the Accounting WordPress theme for your business’ website. We love the coral hues it uses for the backgrounds instead of offering plain whites which can get rather unexciting after some time. The theme is fully responsive which means that you will be mobile ready for generating traffic for your website from mobile users as well. It offers a nice clean design along with effective call to actions built into the home page. 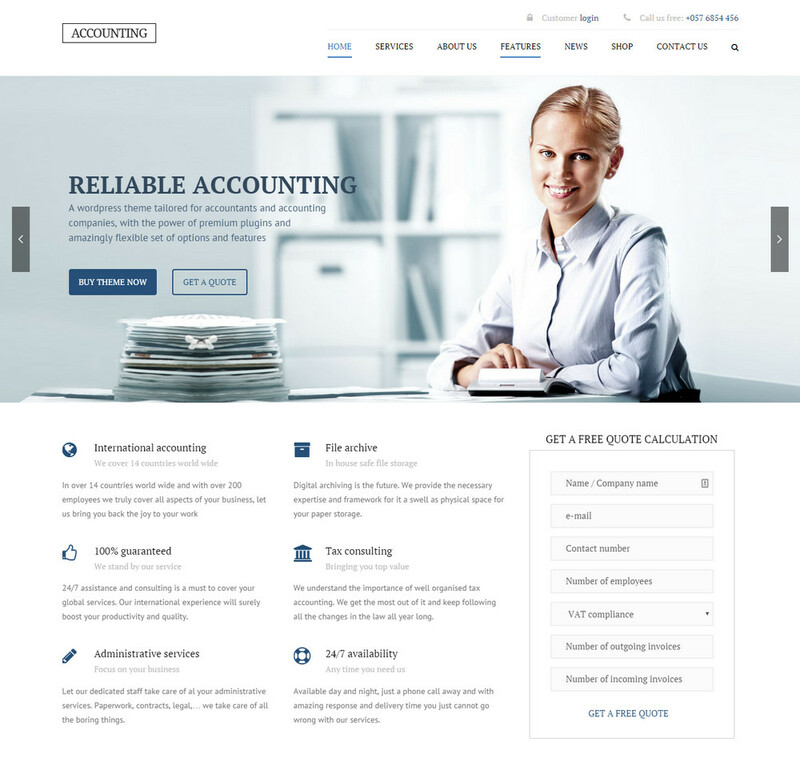 With the Accounting WordPress theme you will find it easy to build your website and customize it effectively. The IT Company WordPress theme is easy to install and has a simplistic look but lends a bold perspective. The use of large images in the content Camera Slider may not be the thing for all companies, but if you know how to use large images to your advantage then there is nothing better than the IT Company WordPress Theme. The layout is perfect for businesses that prefer a clean and effective style for their websites. You can make your graphics stand out in the white background in order to create a visually appealing website. You can make your website easy to use with the help of the different features of this theme. Fin Vertex WordPress Theme is a responsive theme which quickly and smoothly adapts to a variety of devices. With the ability to appear perfect on different devices you will be able to augment your conversion levels by choosing this theme. The installation is easy and customizing the theme is simple too. You can use the full width slider to showcase your business goals in the form of attractive visuals. You can manage your content with the drag and drop feature and you also have the ability to add visuals in the form of images and videos to certain layout blocks. In addition to these, it also includes Google maps, a feedback form, a contact us form, social options, a calendar as well as newsletter signup. The bold design of Consulting WordPress Theme gives your website a look that builds confidence in your customers. The flexible and responsive layouts make it helpful for you to build a website that is compatible on different devices. The customization tools available with this theme are also easy to use. For companies that are starting a new website, this theme can help them achieve a trustworthy look so that visitors can rely on the business. 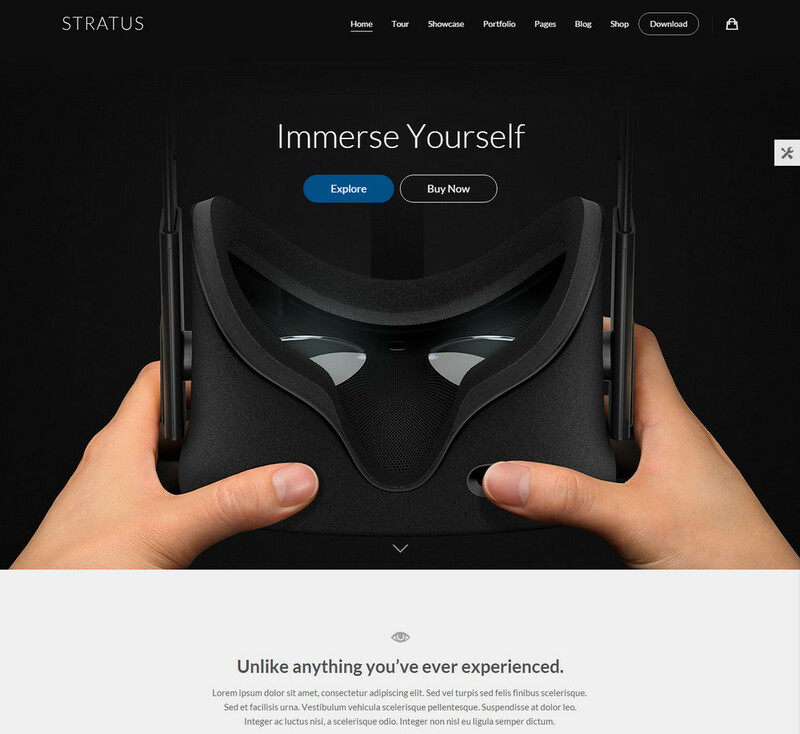 The theme helps in speeding up the process of website creation and the business-focused features make it perfect for a business to pick this template. 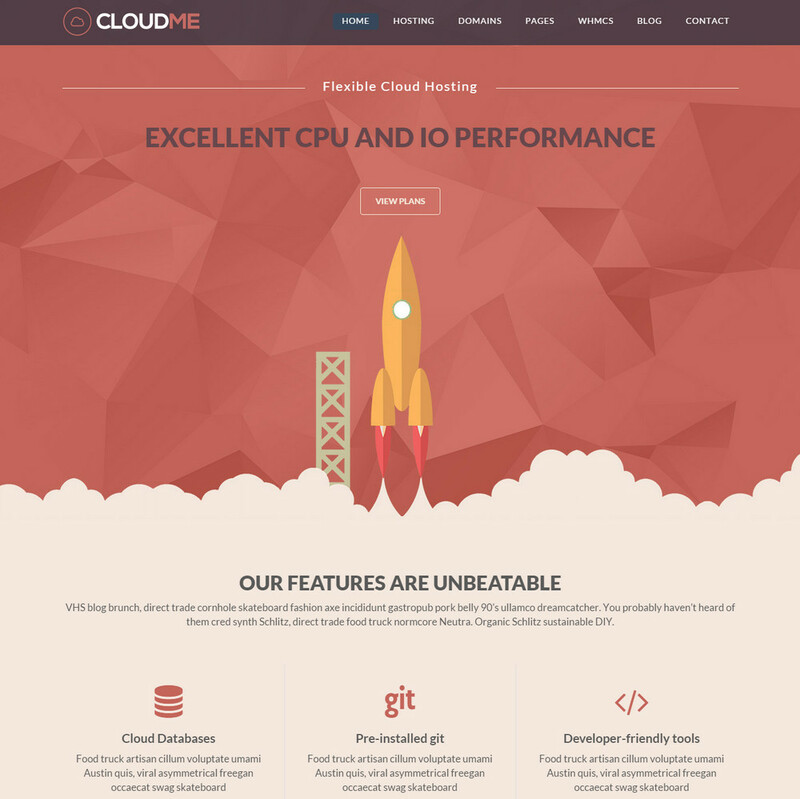 You can display client testimonials on your website using this theme. 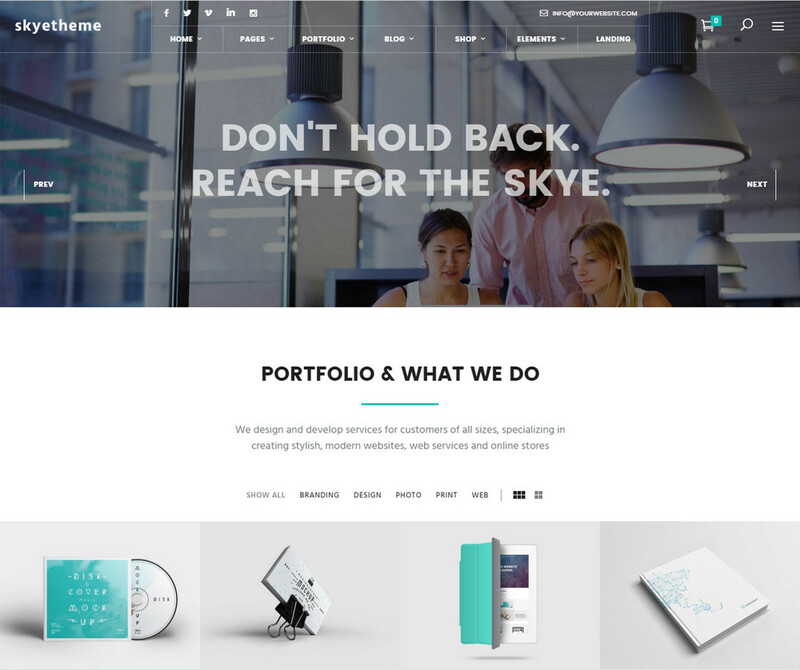 A fully responsive portfolio theme, Skye adds a touch of elegance to your website if you are starting your business as an event organizer or a photographer. The perfect style of the layout, buttons and elements of this theme give it a distinguished feeling. We love the way the developer has struck a balance between the images, white space and delicate typography. Skye is meant for businesses who want to give their website a classy look. The drag and drop interface is easy to use and there are many free plugins that are compatible with this theme. You can go through the many video walkthroughs that will help you with the creation of your website using this theme. You also get layered Photoshop files for the graphics that are shown and there are 11 page layouts that you can choose from when using this theme for your website. For a highly responsive retina ready theme, Route can be pretty amazing and has the ability to create some appealing websites. Route takes a minimalistic approach to create your website. It is very flexible and has some very powerful features. With a clean design, route aims at minimizing crowded features. Instead, it is suitable for businesses who would like to ensure that the business is perceived simplistic yet strong enough. 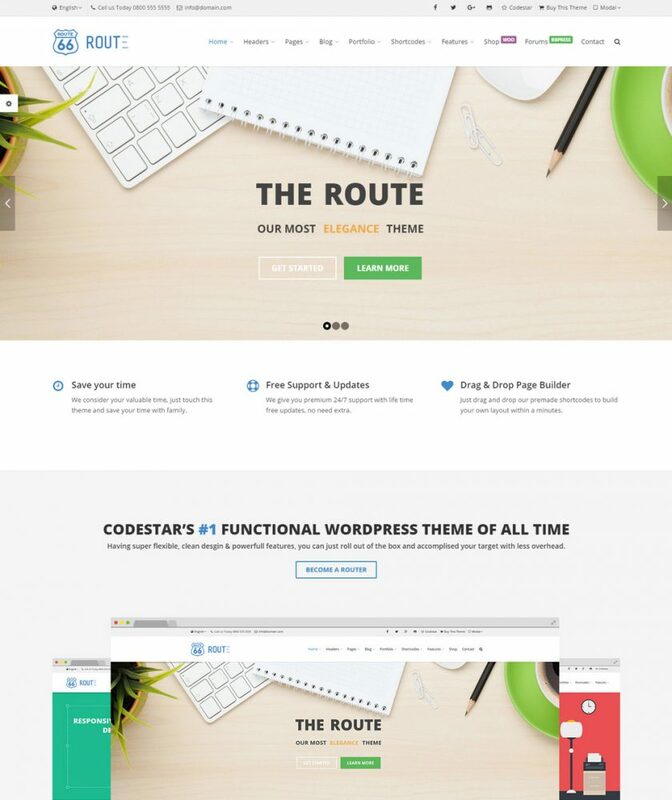 If you do not know much about websites and creating them, then the easy Route theme is a good place to start. It aims at helping you build a website without any headaches. Achieving a perfect website with Route is easy and you do not need to know to code to get things done with Route and that’s what we like about it. Entrepreneur is another WordPress theme that delivers powerful features and an extremely functional UI design. It has extensive features that you can choose from to give your WordPress website the look and feel you are aiming for. Customization is quick and easy and installing the theme is simple as well. We like the way in which it makes website building a breeze. The fact that it is highly responsive ensures that you will be able to build enough traffic for your website through different devices. In addition to this, support for Entrepreneur ensures that you do not have to worry about getting stuck in the middle of web creation without any help. If you are planning to create a website that requires a global or a local directory then Listable makes things easy for you. This WordPress theme is simple to use but the powerful way in which it makes information available to your visitors makes it stand out from the rest. The list can be of anything from places to events to any kind of activity, Listable has the ability to stack them up beautifully for your visitors. You will be able to add free plugins that come with the theme to improve the functionality of your website. Listable’s developer aims at providing a theme that is simplistic yet powerful. And one look at this theme will show that the developer has had success in doing so. For real estate businesses that are starting up, Broker can help you build a great website for yourself. It provides creative ways of showcasing your property listings and making your business look impressive. The inherent nature of real estate requires a theme where you can add, edit as well as delete property listings. The theme panel allows quick and easy customization for your website. 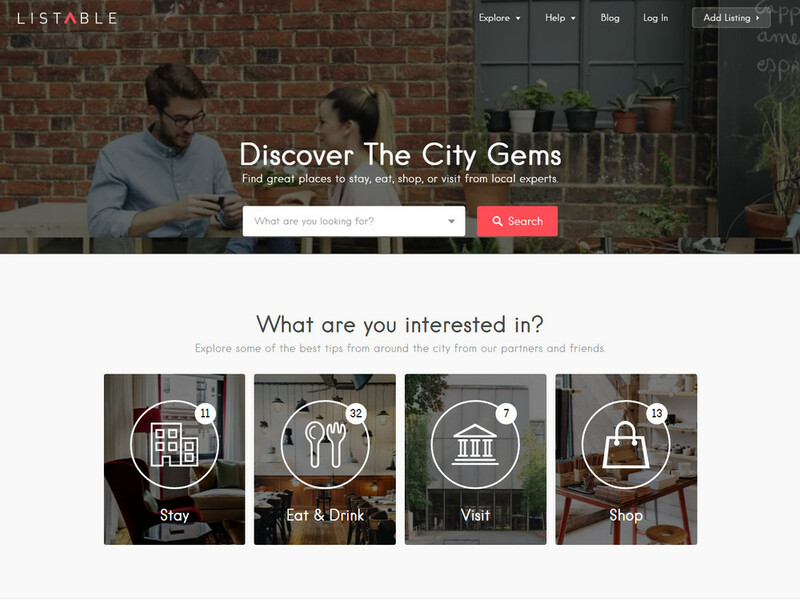 Your visitors will be able to look for listings easily with the help of this theme. It is SEO optimized and also features Google Street View and Multi category search. You can also add a slideshow to showcase featured property on your website. 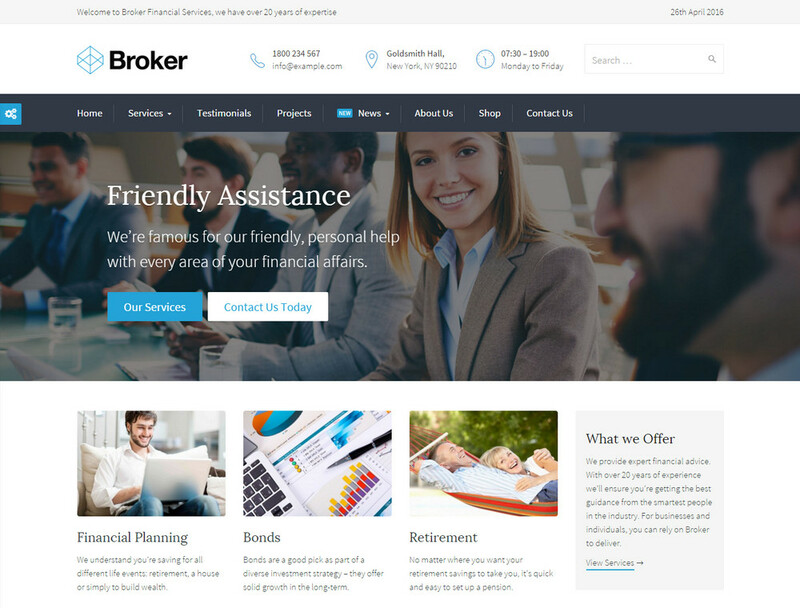 The Broker theme is absolutely fitting for any real estate business. 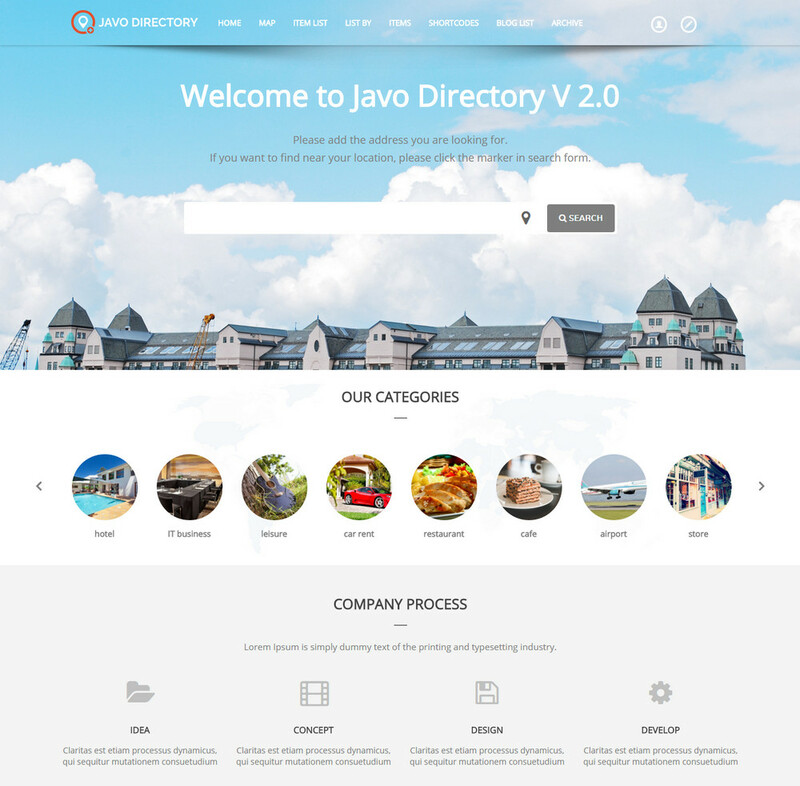 Javo Directory is a theme that makes a customized listing page easy to achieve. 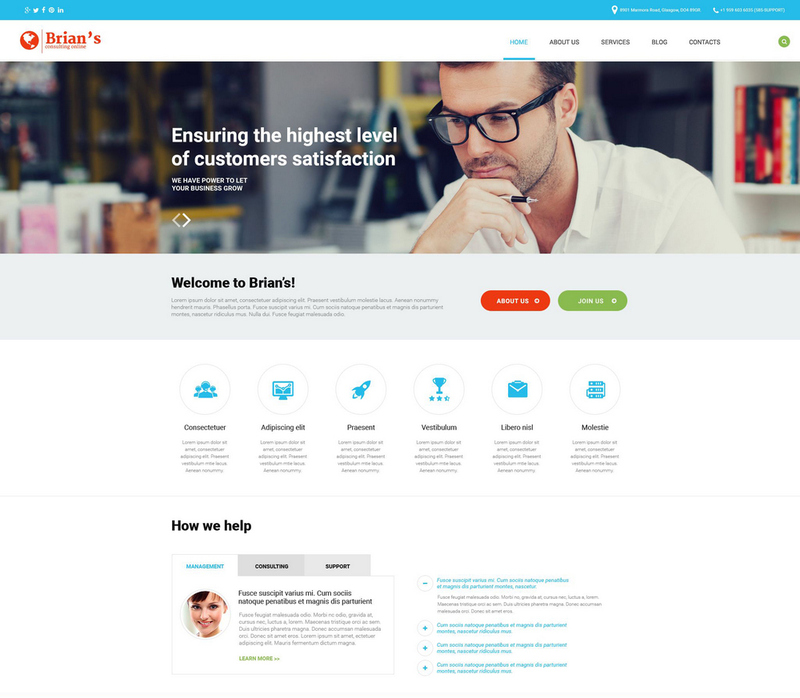 With this theme you can get your customer’s attention with a single page itself. If your business deals with making listings available for your customers, then this WordPress theme is good for you. The listings can be complemented with maps, images as well as sliders. The theme also has PayPal integration so payments of any kind will not be very difficult on your website. Some of the free plugins with this theme are visual composer, ultimate VC add-ons and revolution slider. It is also integrated with MailChimp so that sending newsletters to your clients will not be difficult with this theme. 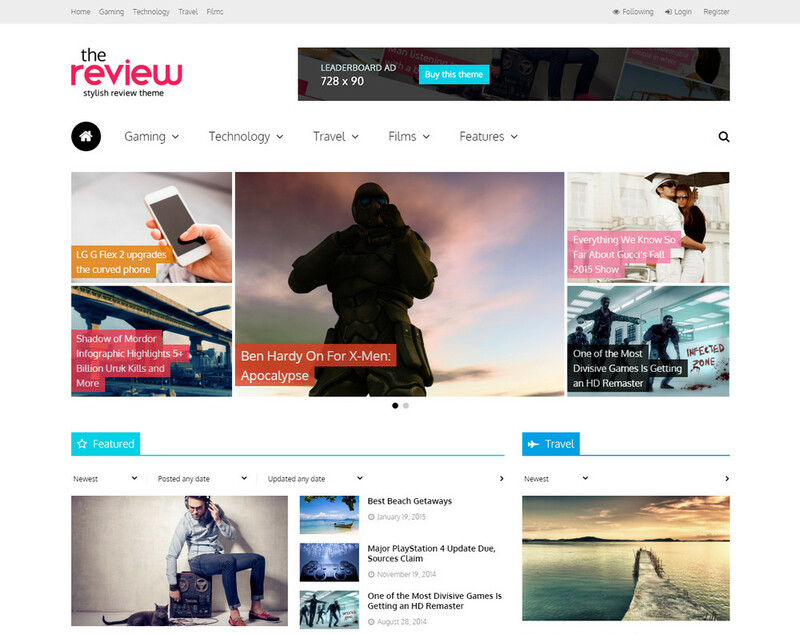 Your search for an elegant review and magazine theme can end with the Review which is a multipurpose WordPress theme that offers many impressive features. With the help of this website you can create reviews for different things depending on what your business entails. It features ‘hubs’ which are pages that can contain details regarding a particular topic. In addition to this it also has front-end posting where your customers can leave reviews regarding a product as well. This fully responsive theme makes reviews simpler and better. 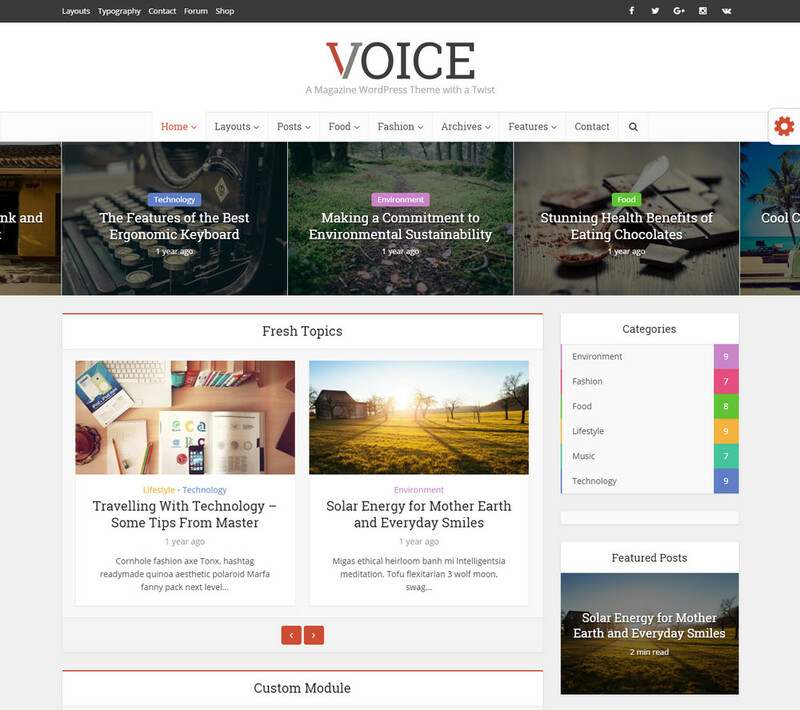 Voice is another WordPress theme which features a contemporary design with great typography and an impressive responsiveness on a variety of devices. The websites created using this theme have great readability and the visitor experience of such websites is usually splendid. The fact that it is highly customizable means that you will be able to do a lot on this theme and apply your creativity to give it the personal touch that will appeal to your visitors. You can choose from unlimited fonts and colors to give the website a look that matches your brand’s persona. You can also choose from a variety of post listing combinations and look for a module that you like. You also have advanced filtering option for filtering the posts so that your viewers can choose what they want to look for. You can also choose custom widgets that help you achieve a nice look for your website. This premium WordPress theme is designed to cater specifically to App and SaaS companies. It is good for start-ups and product development companies and those brands that are focused on lead generation. The responsive design ensures that your website does not lose its appeal when seen on a different device. The page builder is easy to use and features like shortcodes, over 500 icons, full background and custom page header options make it a good choice over many other WordPress themes. Even support is easily available which means that if you find yourself lost while using the theme, you can always get help to proceed. The health industry is growing by leaps and bounds. All of a sudden everyone around the globe is inclined towards staying healthy. 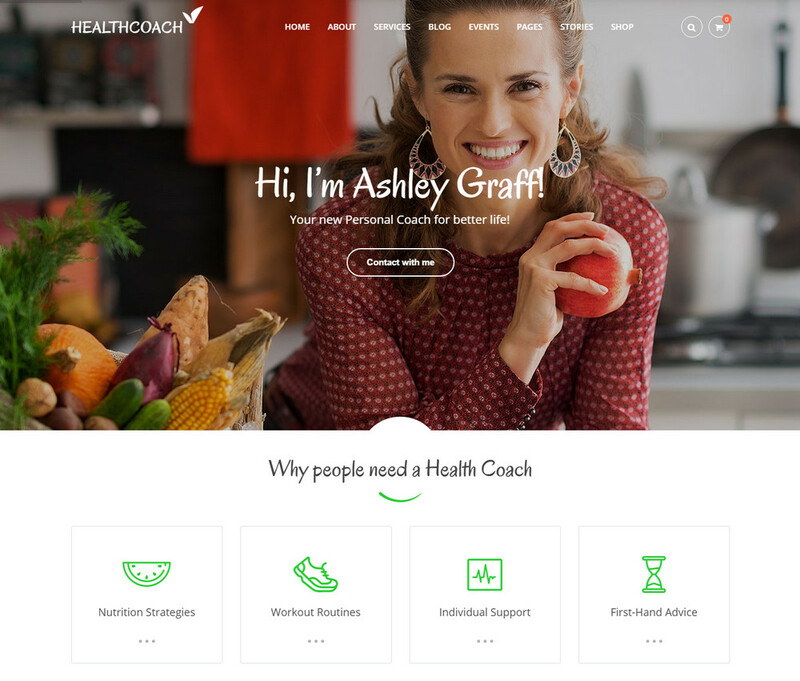 This means that the need for a theme that can help you build a website around health and lifestyle can be very helpful. Installing the theme is easy and then you can begin customizing the theme according to your requirements. The gadget ready theme includes translations for different languages. Its features include WooCommerce shop, compatibility among different browsers, WPML localization support, revolution slider and a lot more. Support is available quickly and easily and you can get support round the clock. 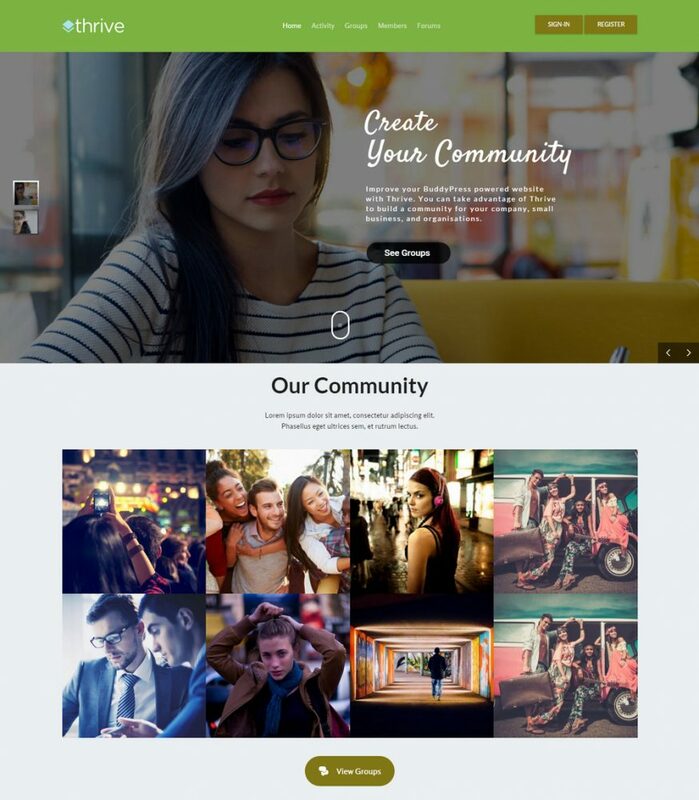 Thrive is a responsive theme which is retina ready as well. It can easily adapt to a variety of devices without going awry. This means that you have the ability to reach a wider audience with this theme. It is also compatible with WooCommerce so you can create your online shop with ease. Thrive is easy to use and has customization options that make sure that you can give the website a look and feel that matches your brand. It includes a revolution slider and is compatible with many plugins. 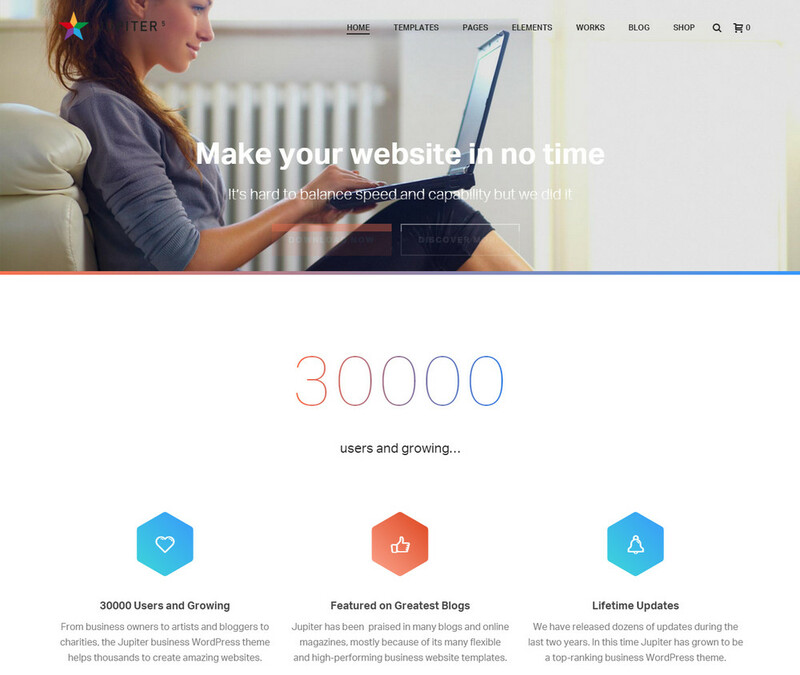 Use Thrive for your website to create a visually appealing website for your customers. WPLMS offers the perfect solution for academic and education organizations who are planning on creating a website. This learning management theme can be used by schools, educational institutions as well as companies that provide certification programs. You can have students create their profiles and teachers access dashboards through the website. Instructors can keep a check on the statistics of a course with the help of this theme as well. It also allows the creation of courses and making courses available online for the users. The retina ready theme has a responsive design ensuring that students and teachers can open website from any device. Shopkeeper has been created with e-commerce in mind. This theme can be the perfect springboard for the creation of a powerful e-commerce website. The fully customizable theme has many features that make it popular among e-commerce website owners. It is integrated with the WooCommerce plugin and the theme also provides quick support so that you do not have to face unwanted problems creating or using the theme. There are many pre-built page layouts that you can choose from and some very exciting header styles that you can associate your brand with. We like the responsive design and superb features that make Shopkeeper a good theme not just for e-commerce but for any website. 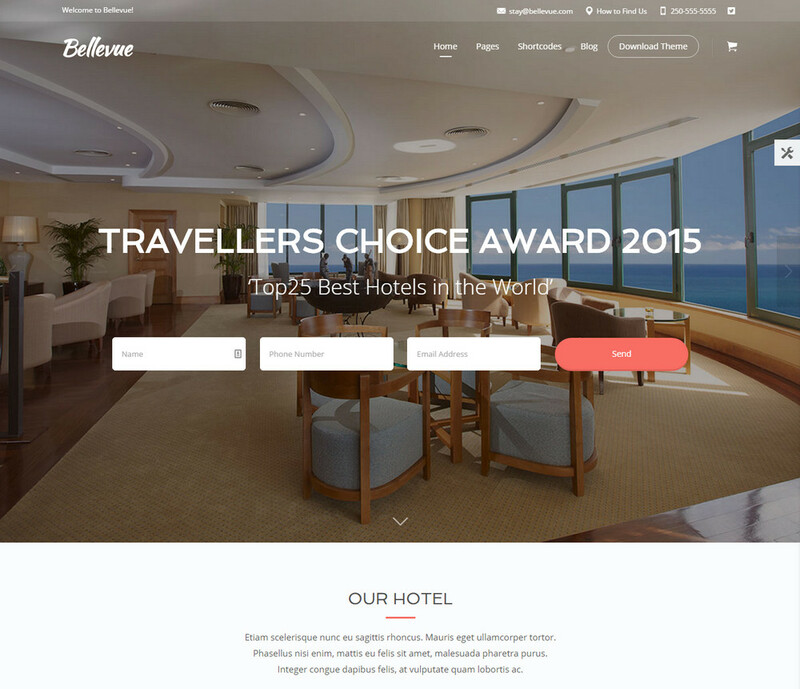 Bellevue Hotel is a WordPress theme that focuses on hotels, bed and breakfast and vacation home rentals. It is a wonderful theme which gives you the chance to showcase your property in a splendid way. You can explore unlimited possibilities with this theme. With the ability to display rooms in different types of grids to support for seasonal pricing and CAPTCHA support for filling up forms for booking, everything that you need for running a hotel or a bed and breakfast is available with this theme. Your customers can easily be converted with the easy to use features of the theme and the built in forms and buy pages that this theme features. This hosting WordPress theme is fully compatible with WHMCS-Bridge, visual composer as well as WPML plugins. It is a good theme creating a website with a responsive design. It supports Google fonts and is retina ready too. The theme is easy to install and can be customized with the help of the many tools and features available. You will find clear step by step documentation that will help you in setting up your website with this theme. You also have a lot of colors to choose from to give your website the look that compliments your brand or business. This theme is suitable for hosting websites that are looking for a simplistic yet powerful design. 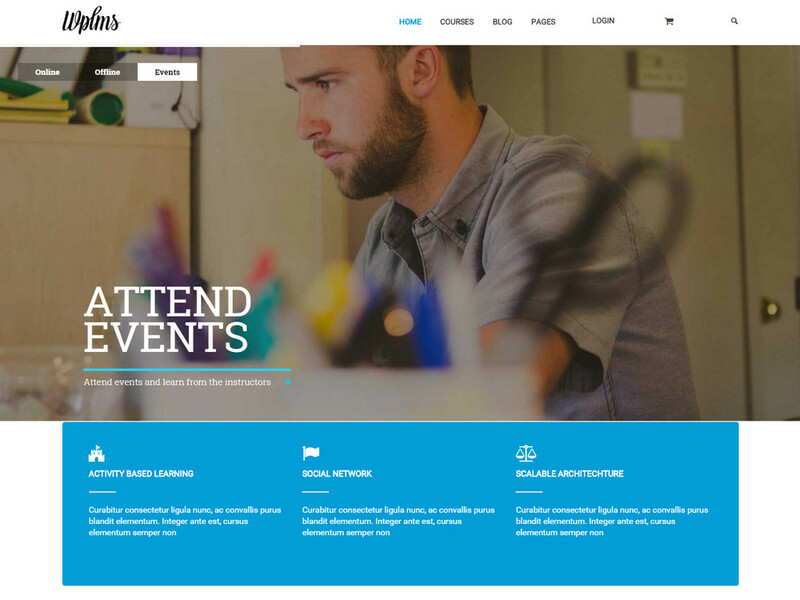 The most important and useful themes shared here for WordPress website design. Definitely it will make presentation good and impress your viewer. Thanks for your suggestions. Most useful themes. Very rare one.